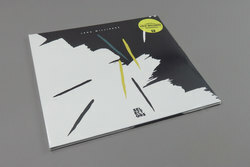 Lena Willikens - Selectors 005. Vinyl LP. Bleep. Salon resident turned globally celebrated DJ icon trumps the Dekmantel Selectors crew at their own game with this fun take on their compilation series. Rather than opting for endless rarities or obscure 80s jams Willikens opts to celebrate plenty of unreleased contemporary music that she continually receives from friends and associates. Here you’ll find dubby Eastern influenced cuts from Garland, fun electro from Le Matin and peak time techno gear from Parrish Smith. There are a couple vintage gems in amongst it all though, keep an eye out for Richard H. Kirk with his Sandoz project!